How to Use Google Search Console: Here you can find the most complete and up to date guide about probably the most important SEO tool for your website. If you have a site or blog you are probably using Google Search Console (previously known as Google Webmaster Tools), and if not you should start using it immediately. 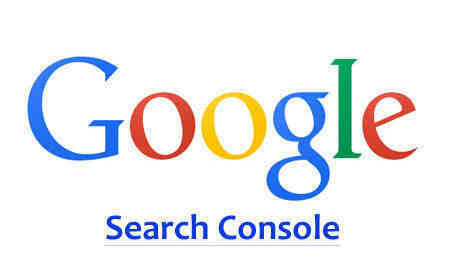 How do I set up a search console? Is useful to see if your sites Structured Data Markup is working fine and if there are any errors. Structured Data Markup is very important for your site's SEO although it is not used very much by bloggers. Just like Structured Data also Data Highlighter helps you to markup your articles, books, events, reviews,etc.. Here you can find very important data about your site where you can find HTML errors and where you can improve your site's HTML what is crucial for your site's SEO. You can find information about your site's Meta Description, Title Tags, and Non-indexable content and if there are any errors you should start fixing them because you may get penalized by Google if not. Most important part is to see if there are any Duplicate Titles and Meta Descriptions because that is a sign of Duplicate Content inside your site and your site may get hit by Google Panda penalty if you are not going to fix these errors by removing duplicate content from your site. you are not informing search engines about a mobile version of your site with "rel=canonical" tag. You can do all this at your .htaccess file in root directory of the site or by placing a "rel=canonical" tag at Head HTML section (inside <head> </head> ) of your site. Also, you can use HTTP Headers to tell robots about your site redirects and notify them for the mobile version of your site. If there are error signs of Short or Long Title Tags or Meta Description improve them because that will help you to rank better in Google Search and increase CTR (click-through rate) of your site. Sitelinks are automatically generated links that may appear under your site's search results. If you don't want a page of your site to appear as a site link in SERP, you can demote it from here. Search Traffic is the most important section of Search Console because as the name suggests it will tell you about what you should improve to rank higher in Google. Search Analytics will show you details about queries, clicks, impressions and average position of your site for a particular keyword in the Google search results. Analyze your performance in Google Search. Filter and compare your results to better understand your user's search patterns. The Search Analytics Report shows how often your site appears in Google search results. Filter and group data by categories such as search query, date, or device. Use the results to improve your site’s search performance. Learn which queries are searched from smartphones, and use this to improve your mobile targeting. Filter your queries with Impressions, Clicks, CTR and Position so tick all those boxes. The top of the chart will be keywords that you’re on the first page for, but those are not much important right now because you already are in good search ranking position with those pages now. Set the number of rows to show to “500” and scroll down until you see an about average position of 11 to 20, then look at those queries that are ranking for those positions. Impressions and CTR will tell you how much those queries are searchable in Google and if is worth it to try ranking for those queries, or even better you can use Google Keyword Planner to check their search volume. If you find any keyword that has decent search volume and is worth it then you can click on that exact queries in Search Analytics section of Search Console and then select Pages to see the top pages for the current results. That will show you the page on your site that’s ranking for that query. And incorporate that keyword as part of that page’s SEO, and try to optimize that page even more for example: by linking from other pages that have a higher reputation on your site and also try to earn some external backlinks directly to that page of the site. The great part of Search Analytics section is that you can even Download all the data to your PC and export them to the spreadsheet. In this section, you can see Total links to your site, Your most linked content and How your data is linked. At total links to your site, you can see top domains that have linked to pages on your site. You already know that Google sees external backlinks as votes from other webmasters and website owners to your site,so the more the number of backlinks here is better but only if those sites that link to you have relevant content to the content of your site and if you didn't earn these links in an illegal way, for example by buying them, spamming other sites and other Black Hat SEO Techniques. At your most linked content, you can see which of your site's pages are the most linked and have earned those votes from other sites. These pages will have more chances to rank higher in Google search results. How your data is linked tells you about the Anchor text that is used to link to your site. Learn more about how Anchor text will help improve your site in SERP and usability of your site by decreasing bounce rate of your site (also a Google ranking signal). Here you can find how your site is using Internal linking as a part of improving the structure of your site by increasing user experience. Internal links are important just as external links so try to improve as much as you can your internal linking, but don't overdo it because keep in mind that one of the Google Webmaster Guidelines is to keep the number of links (both internal and external) per page under 100, otherwise Google may consider your site spammy. Here is a part of search console where you don't want to be displayed any data about your site because here Google will display data if they find that you are not following Google Webmaster Guidelines and they have already penalized your site. Here will be displayed those manual webspam actions taken by your site trying to cheat Google or sometimes when you are not being aware or not knowing what you are doing. Google algorithms change very often so this can happen even to the best Webmasters and SEO experts. Two types of actions are displayed on the Manual Actions page. The Site-wide matches section lists actions that impact an entire site. The Partial matches section lists actions that impact individual URLs or sections of a site. If your site isn't appearing in search results or isn't performing as well as it once did, you should check the Manual Actions report and take steps to address the problem. Use this section to target your audience based on location and language settings. If your site has a section or pages that are written in different language compared to your site's main language then this is the place to notify Google about this so that search results display the relevant language and a country version of your pages. If your site has a neutral top-level domain, such as .com, .org, .net, .info. geotargeting helps Google determine how your site appears in search results and improves Google search results for geographic queries. If your site has a country-code TLD (top-level domain) it is already associated with a geographic region, so, therefore, you won't be able to specify a geographic location. Here you can see mobile usability issues affecting your site. Websites with mobile usability issues will be demoted in mobile search results. Google confirmed on the Webmaster Central blog that starting from April 21st, 2015 they started a new mobile-friendly update to its mobile search algorithm. For best practice use Responsive Template for your site. The total number of URLs from your site that have been added to Google's index. Total indexed: the total number of URLs from your site that have been added to Google's index. URLs Google could not access because they are blocked in your robots.txt file. This is useful to understand how is Google indexing your site and if there is any page that you have accidentally blocked by robot.txt. It shows the keywords that are used on your site, along with keyword variations and significance. These data help you quickly determine if you need more content created around certain keywords, themes, and topics. Rendering without certain resources can impair the indexing of your web pages and usability of your site. Keep an eye on this section and remove from your site any blocked resources that appear in here. Temporary you can remove your site URLs from search result pages. This useful if you don't want some URLs to appear in SERP. To remove Permanently you must remove or update the source page. 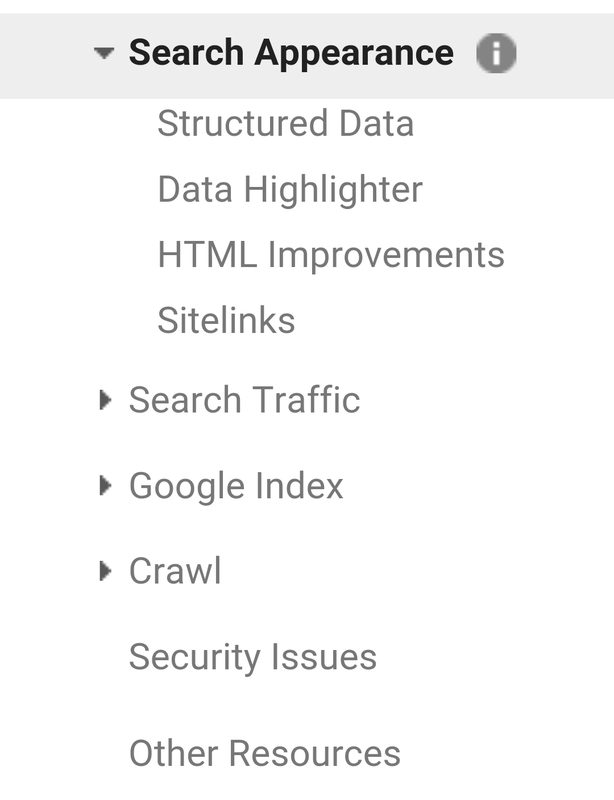 You can use this section of Google Search Console to take information about how Google crawls your content, is there any crawl errors, to test your robots.txt and most importantly where you can send a sitemap file to Google. Crawl Errors it gives you a lot of information like 404 errors and server errors on both desktop and smartphone. When there is a 404 error on the page click it and it will give you information about that error, like for example when was the last time this error got crawled and when was first detected and also from where was linked. You can use this information to fix those broken links that are causing these 404 errors and if they are on your site, you can redirect them to an existing working link that has relevant content inside your website. After fixing these issues you can mark them as fixed in Google Search Console. Here you can find the information about how many pages are getting crawled per day and how much time is spent on Google Robots for downloading a page. You can fetch a page as a Desktop Google Robot or as a Mobile Robot. Bonus tip: when you write a new post or update an existing post you can then fetch that post and submit it to Google for indexing. You can submit a single page for indexing or a page with all the linked URLs. You have 500 monthly submissions for a single page URL and 10 submissions for a page with all the data linked to that page. Use it smartly to get your content indexed by Google. Here you can test your site's robots.txt for any errors or if you have accidentally blocked any part of your website to get indexed. In this section, you can send the Sitemap to your site in XML format to give Google information about your pages on your site that you want to get indexed. Always send a sitemap to Google in XML format. Bonus tip: send also an RSS or Atom feed of your blog as a sitemap here because that will tell Google immediately about a new page after you make a post on your blog. This is a part where everybody including Google itself tells you to use it with caution. So use it only if necessary. Incorrectly configuring parameters can result in pages from your site being dropped from Google index, so I (and Google itself) don't recommend you to use this tool. Anyway, this tool's role is to exclude URLs from SERP based on URL parameters and it is useful for those huge e-commerce sites with long not-SEO friendly URLs. If your site gets infected by some malware script or you are using some malicious code on your site, here in this section of Google Search Console you can find a warning from Google that your site is infected. If that happens you should find the malicious code within your site and remove it because if not, that will decrease traffic from your site because Google will show a warning message to users that will visit your site on Google Chrome. In this section of the Google Search Console, you can find other Google Tools that will help you to analyze SEO for your site. I will not write about these tools here because I will create separate posts about these tools. Now more than ever, quality, well-written content is key. The words on your pages, the keywords if you will, are still important for Google's (and your users') understanding of your pages. While our systems have gotten better, they can't read your mind: be clear about what your site is about, and what you'd like to be found for. 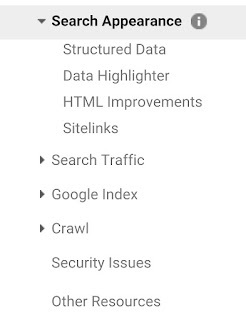 In the early days - back when Search Console was still called Webmaster Tools - the content keywords feature was the only way to see what Googlebot found when it crawled a website. It was useful to see that Google was able to crawl your pages at all, or if your site was hacked. This was all I had t write in this Guide about using Google Search Console to improve SEO of your site. I tried to include the most important things in this guide. If I forgot something please feel free to remind me in comments, and I will include in the post. 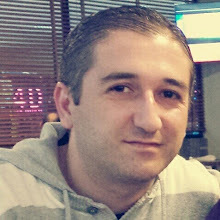 Remember this is a post series about SEO Tools and don't forget to follow me on my next tutorials and reviews. If you liked this article please use the social sharing tools on the web page and share it with your friends and followers on social media. If you have any further questions and feedback about this article then you can share your opinions in the comment section below.